Enjoy creating wonderful memories of your trip while learning the history of Japanese umbrella from the only maker of traditional Japanese umbrellas in Kyoto. To produce a real miniature version of wagasa, or Japanese umbrella, affix a sheet of Japanese paper to the bamboo frame with ribs prepared in advance. All the main materials used in Japanese umbrella making are of natural origin: washi (Japanese paper), bamboo, wood, linseed oil, urushi lacquer, persimmon juice, tapioca, etc. Each wagasa is a fruit of collaboration between highly skilled experts in bamboo craft, woodworking, Japanese paper making and Japanese umbrella craft. The time necessary to complete a Japanese traditional umbrella can vary from a number of weeks to several month. It is said that the number of steps in the umbrella production is the same as the number of bamboo ribs the umbrella has. It is not far from the truth, for there is not less than a few dozen steps in the process, and each one of them requires a high degree of expertise. 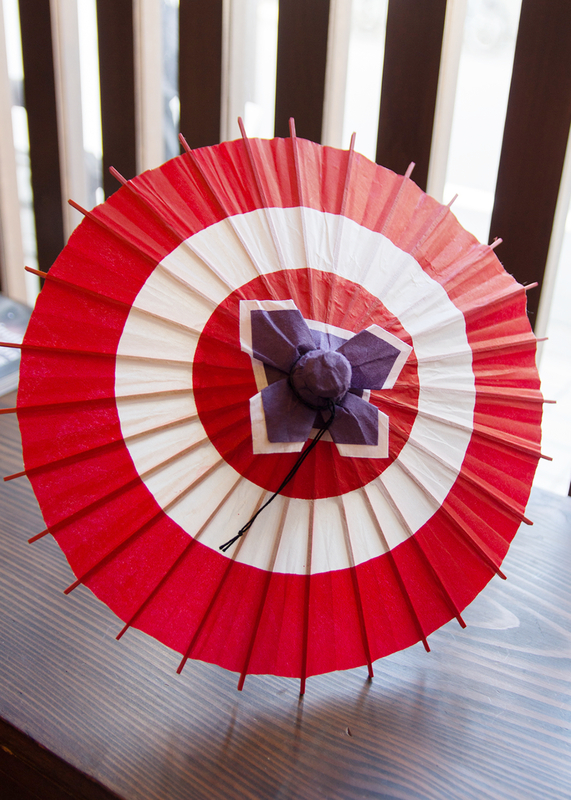 So how about celebrating this amazingly complex Kyoto craft by producing a miniature version of Japanese umbrella and creating a perfect memory of your Kyoto trip in Hiyoshiya?